An allegory about unconfessed sin. 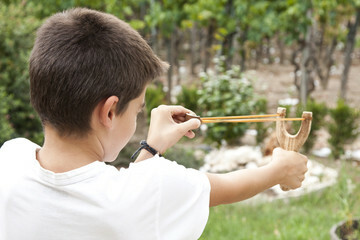 A young boy was visiting his grandparents on their farm, and was playing with a slingshot his grandfather gave him. He practiced for quite a while in the woods, but no matter how hard he tried, he could never hit what he was aiming at. After a while he became discouraged and decided to head back to the house. As he was walking back he saw Grandma’s pet duck. Out of impulse, he took a shot and hit the duck square in the head, killing it. He was shocked and grieved. In a panic, he hid the dead duck in the wood pile, only to see his sister watching. Sally had seen it all, but she said nothing. So Sally went fishing and Johnny stayed behind. After several days of Johnny doing both his and Sally’s chores, he decided he couldn’t stand it any longer. He went to his Grandma and confessed that he had killed the duck. I don’t know what’s in your past. 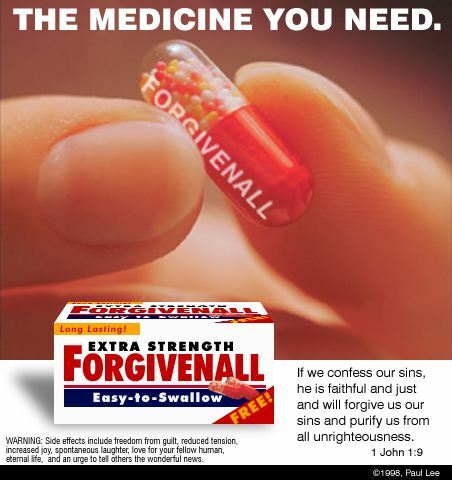 I don’t know what one sin the enemy keeps throwing up in your face. But whatever it is, I want you to know something. Jesus Christ was standing at the window. And He saw the whole thing. But because He loves you, He has forgiven you. Perhaps He’s wondering how long you’ll let the enemy make a slave out of you. The great thing about God is that He not only forgives, but He forgets.